doing stupid things. . Wallpaper and background images in the the worst spot on Fanpop club tagged: cool stuff nature. Dear God, how many kittens have I killed? ._. 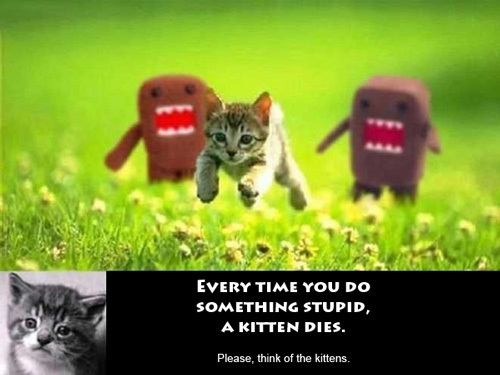 I declare a moment of slience for the poor kitties that were killed because of our stupid doings. I have never killed a kitten *all proud like* Well... except for that one time--- and that other time... and... OHMYGOSH! IMMA KITTEN KILLER!